The day began at 3:00 am in the morning. Thankfully a sound sleep the previous day brought a fresh start. However, had it not been for the porridge breakfast it would have been a kick – start to the day! I am a strong believer in the science of filling your stomach well with the onset of the day but on this day, I deviated. Ideally a peak summit involves energy food & packed lunch, hence we were given a bowl of porridge to begin with. 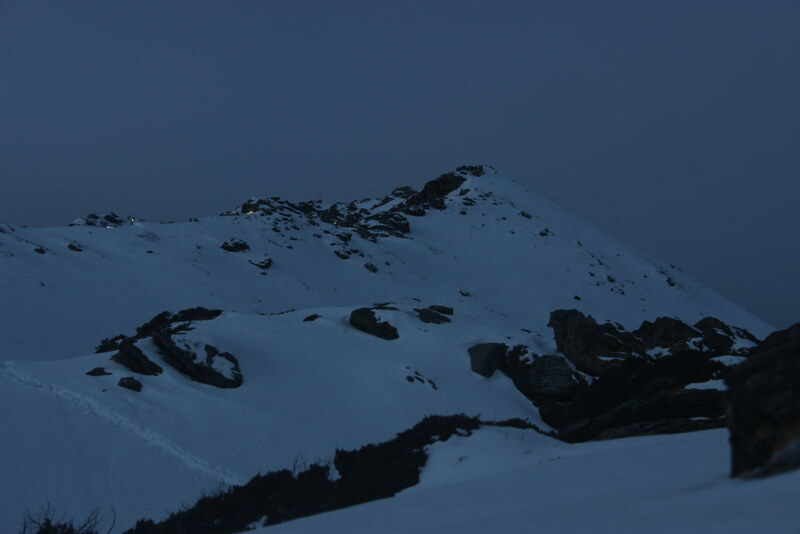 We left from the base camp at 4:15 am, the headlights shone ahead & the trekking poles made a dig sound with the crampons crunching the ice underneath a starlit sky, making me forget about the meal. The harmony in our footsteps while ascending was almost hypnotizing, until I started to feel pukish. Hunger had hit my city belly & in not even a kilometer away, I felt nausea. With rapid halts taken due to heavy breathing & constant inconvenience, the trek leader asked me to hydrate myself well. The ascent is usually gradual, but this one was constant uphill & erratic. At one point when I couldn’t move further I decided to call it a rest time. The fact that I had no inkling of my early morning body, gave me jitters to take good care of myself. Next, the only thing that could save me was food. Unlike most trekkers I rescued myself only with a sweet & few biscuits; it was only after that could I start afresh. Here came a lesson with a lesson, that whenever you are with a team you ought to stick together, each one to be considerate & patient, which luckily my co – trekkers were. 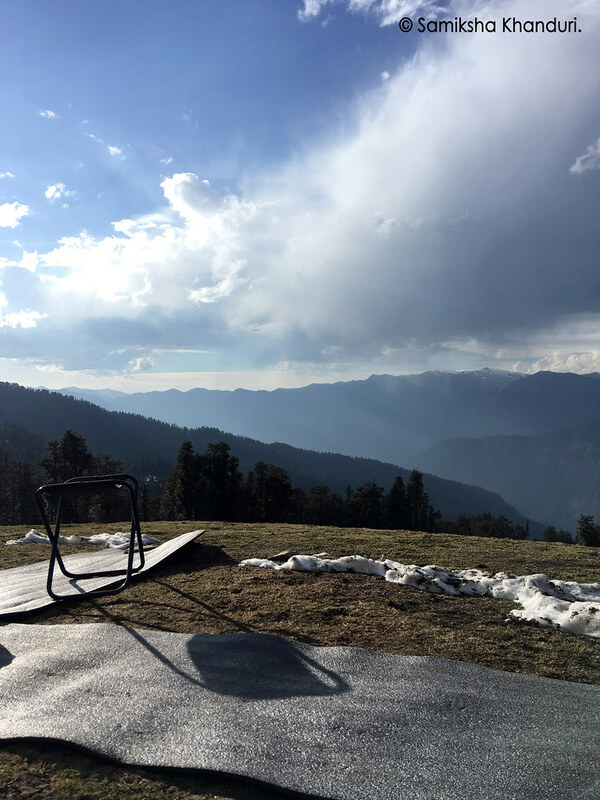 Another thumb rule while trekking is to take small & steady steps , this helps in not only saving tons of energy but also helps you maintain a steady pace, without the need of frequent breaks. Soon the ascend took a strenuous turn with little patches of flat section & more of an uphill hike. The snow glistening by the moonlight was enough to walk before the sunrise. What truly stood apart was the fact that the more we were sweating out the breeze took all the leverage to relieve us of our tiresomeness. 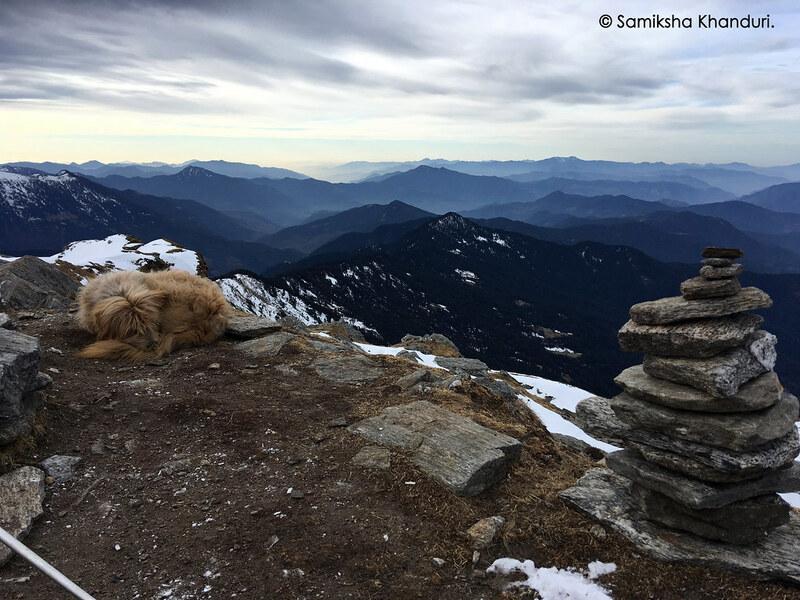 Soon the Himalayan panorama unravelled greeting us in all its glory, yet we aimed for the sunrise from Kedarkantha top. The hills are so bewitching; each turn has a new view equally astonishing, like it was a new view each time! 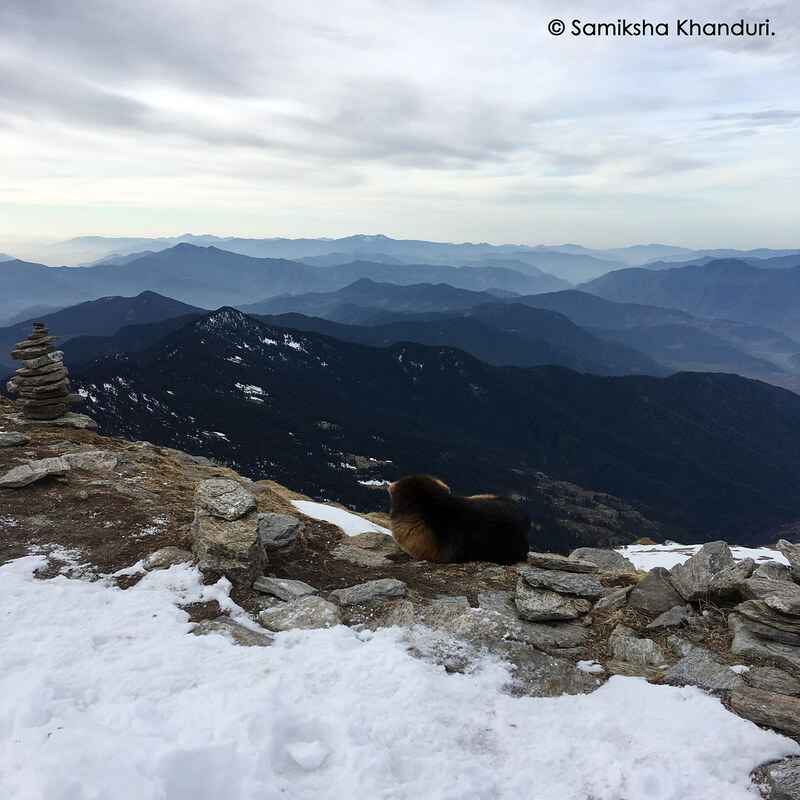 We were close to our destination, while I relished the idea of reaching the summit; the final one hour was strenuous & sporadically steep. That time I recalled that I have surrendered myself to the outdoors & to live with it at the same time was my goal. We finally made it to the summit at 7: 25 am. The trek leader shouting the slogan of “Jai Kedar Baba” in the name of the residing deity of Kedarkantha Peak was truly our victory call! 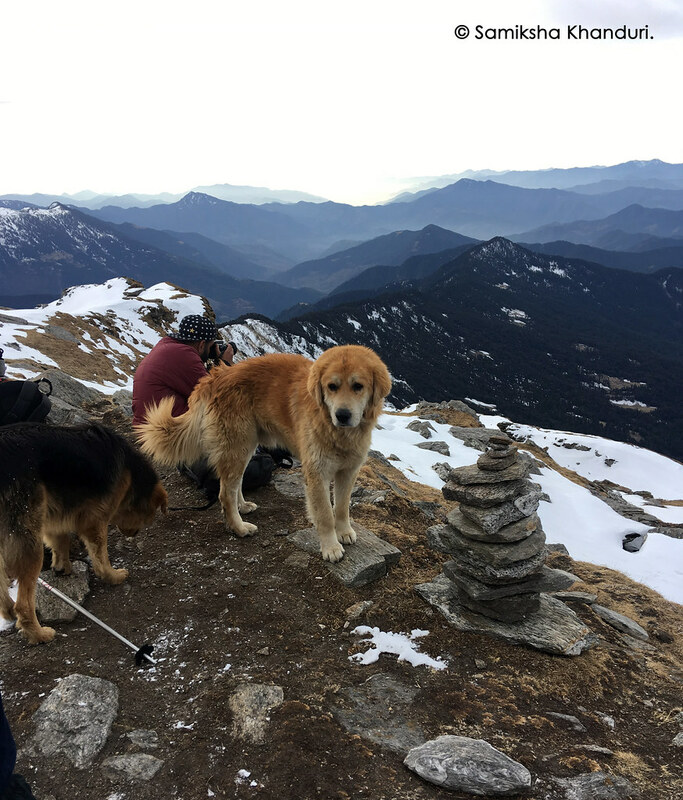 A quick bite of packed breakfast & a happy moment around not, but 6 mountain dogs who made it to the summit with us were our rewards. The rest remains history. I wish life could be as rewarding as this climb, but I guess that’s the beauty of travel, you come, you live & you remember to relive. Now was the time to descend & believe you me we were simply sliding our way down the slopes of snow. This was truly the best descend a human could enjoy. It only got better by the time we reached the base camp, the sun shone at its glittering best & we hogged on a hearty lunch. Now was the time to unwind & what next? We like lazy cats spread ourselves under the sun on mattresses right outside our tents. 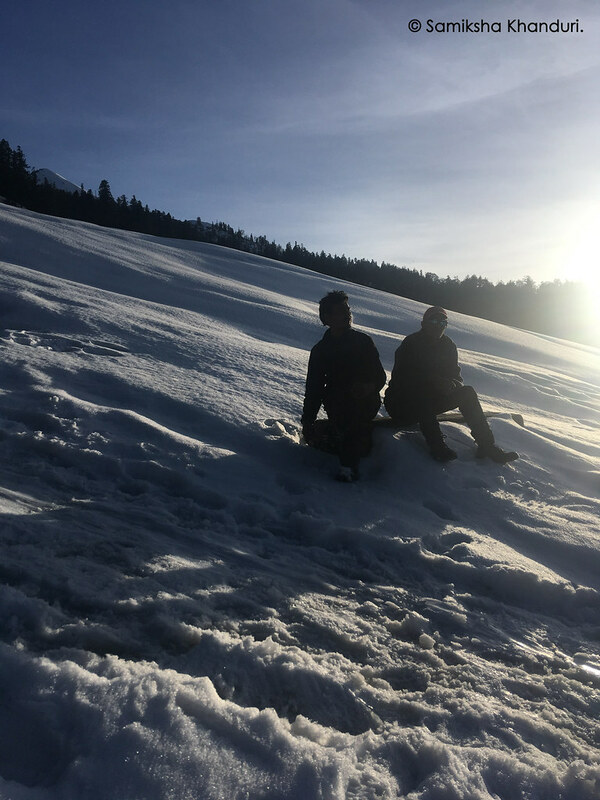 This was no less than getting a tan on the beach, lazily rustling in our tracks we absorbed the sun, with books, talks, music & watching the new trekkers prepare themselves for the summit. Such experiences are vital. Not only to reboot you, but your essence. To share with others what are the wonders of outdoors & pass it on to generations to come. The evening in the company of our co trekkers and the bonfire was more than joy. We ate, fed (The dogs) & rejoiced on travel stories from around the country. The perks of travel truly lie in conversations, not getting to know each other, but giving them the space to be themselves. After all, we were all seeking something. Our minds rested with the thought of accomplishment & hearts happy with the newly formed camaderie. Day ended on warm note of conversations & tired limbs, looking for a sleeping bag to jump into. That kind of sleep only comes after true sense of achievement. 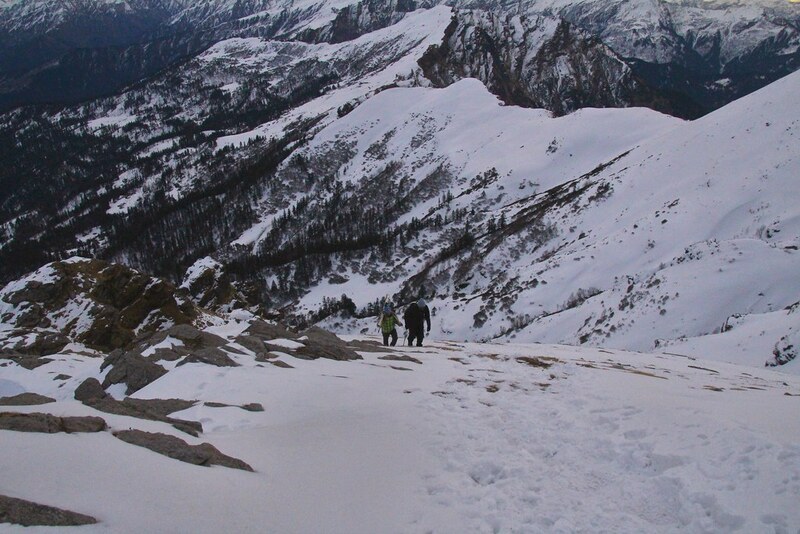 The next day had to begin on a slower note, for we had to prepare for the descend further.